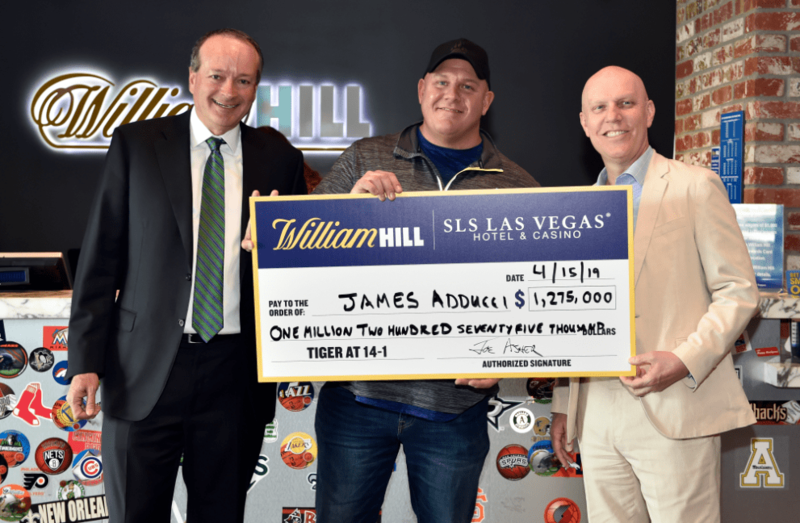 James Adducci of Wisconsin collects his winnings from William Hill US CEO Joe Asher (l) and SLS Las Vegas General Manager Paul Hobson (r). “Golf was so special for my dad and me,” Adducci said. Woods’ historic victory at the Masters Sunday in Augusta, Georgia, earned Adducci a $1.19 million payout. 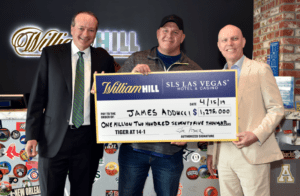 The win represented the largest golf payout in William Hill history.